Real Madrid's fierce rivals Barcelona are also looking at the possibility of signing Isco from Los Blancos. The Spain international has found limited game time under coach Santiago Solari and he is said to be keen on a move away from the club. In order to make funds for a mega-money move for Isco, Barcelona might have to sell a player or two next summer and struggling Philippe Coutinho is hot-favourite to be shown the exit door. 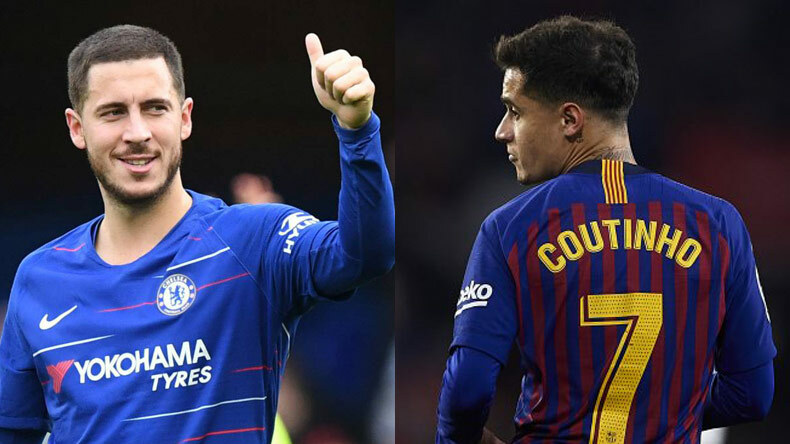 Chelsea is actively looking at the opportunity of signing Philippe Coutinho from Barcelona next summer as a replacement to Real Madrid-bound Eden Hazard. According to reports, the Blues are keen on bringing the Brazilian starlet back to Premier League where he tormented defences at will during his time with Liverpool. Also, another speculation that is doing rounds in Spanish media is that Barcelona might be willing to offload out-of-favour Coutinho as they want to bring in Isco from Real Madrid. Last week, Eden Hazard dropped the biggest hint on his intentions to move to Real Madrid by saying that he has made up his mind about his future. The Belgian talisman was heavily touted for a January move to the Spanish capital club but the move couldn’t materialise as Chelsea refused to part ways with their prised attacker in the middle of the footballing season. However, Real Madrid is expected to dig deep in their coffers and shell out over 100 million pounds to bring Eden Hazard to Santiago Bernabeu as a potential replacement for now departed Cristiano Ronaldo. The Los Blancos have endured a turbulent La Liga campaign ever since the departure of Ronaldo to Juventus and fans across the world has criticised Real Madrid for failing to replace the Portuguese legend. Real’s fierce rivals Barcelona are also looking at the possibility of signing Isco from Los Blancos. The Spain international has found limited game time under coach Santiago Solari and he is said to be keen on a move away from the club. In order to make funds for a mega-money move for Isco, Barcelona might have to sell a player or two next summer and struggling Philippe Coutinho is hot-favourite to be shown the exit door.